In 2016, Fly helped water brand Pump curate a Lifestyle Collection of limited edition labels, which gave people the freedom to create their own lifestyle, share it on social media and win it in the real world. As a follow-up campaign, it aimed for a bit more co-creation with the fans and the Create Your Flow campaign was born. Inspired by brands like Nike ID, which give fans a chance to put their own style into their products, Fly aimed to capture the attention of digital natives, who are excited by co-creation and collaboration with brands they love. 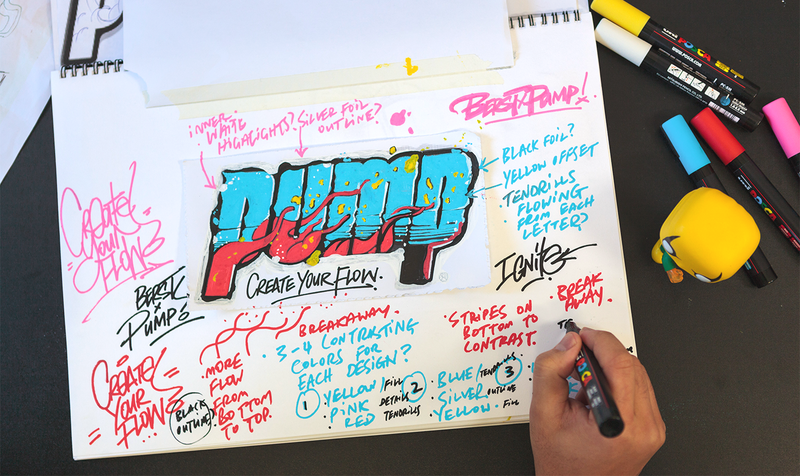 It worked closely with Berst (Bobby Hung), a street artist, graffiti artist, and art and design lecturer to express Pump’s new brand position of “flow.” Working from his very cool workshop, they sketched, scamped, painted and designed three limited edition bottles to release throughout New Zealand. 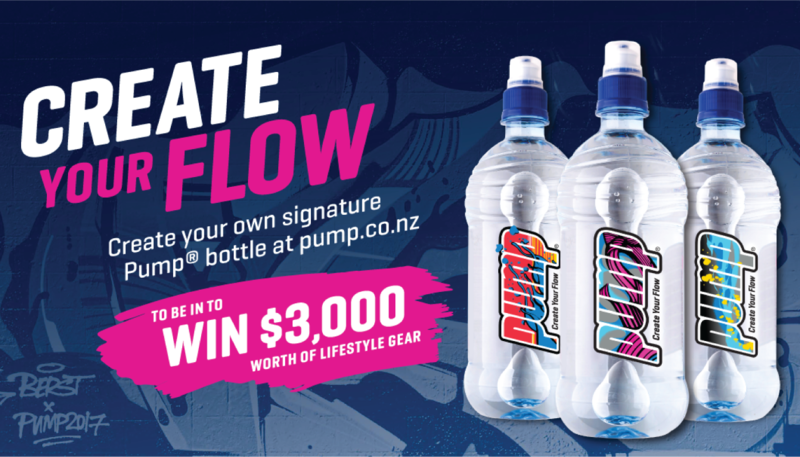 Fans were invited to pump.co.nz to create their own expression of flow and share it to Facebook. A simple idea, requiring a sophisticated approach to give people enough self-expression to find it truly captivating. And it worked, with sales of Pump up, over 7,000 people completing a unique design and increased social media engagement.